LEXINGTON, Ky. – This season, Ole Miss softball has garnered a lot of success individually and as a team. But as most will say, the true mark of success is how a team handles adversity. The Rebels are just fine, thank you. After dropping the first game of a three-game set at No. 22 Kentucky, the Rebels bounced back with a Saturday doubleheader sweep of the Wildcats. Friday night, the No. 18 Rebels fell behind early, 10-0 after three innings, and could not bounce back despite home runs from Abbey Latham, Gabby Alvarez and Jessica Puk. Saturday, however, it was a different story. In game one of the doubleheader, it was the Rebels’ turn to jump out to an early lead, scoring four runs in the first inning. Brittany Finney laced a bases-loaded double to score Kylan Becker and Jessica Puk. Then with two outs, Amanda Roth added a two-run double that scored Finney and Autumn Gillespie. That gave Ole Miss a 4-0 lead before Finney delivered her first pitch. And deliver she did. The senior struck out three and allowed just two earned runs as the Rebels took an 8-4 win. Game two was much more dramatic, but another win for the Rebels. Ole Miss again jumped out to an early lead, scoring on a wild pitch and a bases-loaded walk to grab a sudden 2-0 lead. This time Kentucky was able to scratch out a pair of runs off starter Molly Jacobsen. Jacobsen went six innings, giving up just the two runs and striking out seven before giving way to Finney for the seventh and one exciting extra inning. To get to the extra inning, Finney had one more hurdle to cross. She had to face Kentucky slugger Abbey Cheek who had homered off her in the first game of the day. Finney was up to the challenge as she struck out Cheek to send the game to the eighth inning. In the top half, Roth immediately put the Rebs on top with a leadoff homer, and Ole Miss added three more runs in unique fashion. 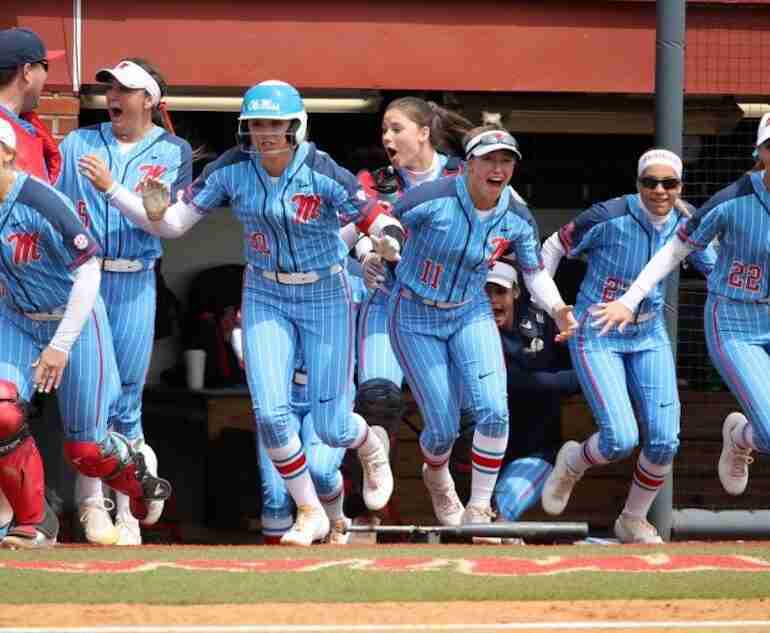 The Rebels scored on a hit batter with the bases loaded, a sacrifice fly and a Kentucky error. Finney (10-5) then shut the door in the bottom of the inning to earn her second win of the day. Whitney led the offense, going 3-for-4 in the nightcap to give her five hits on the day. 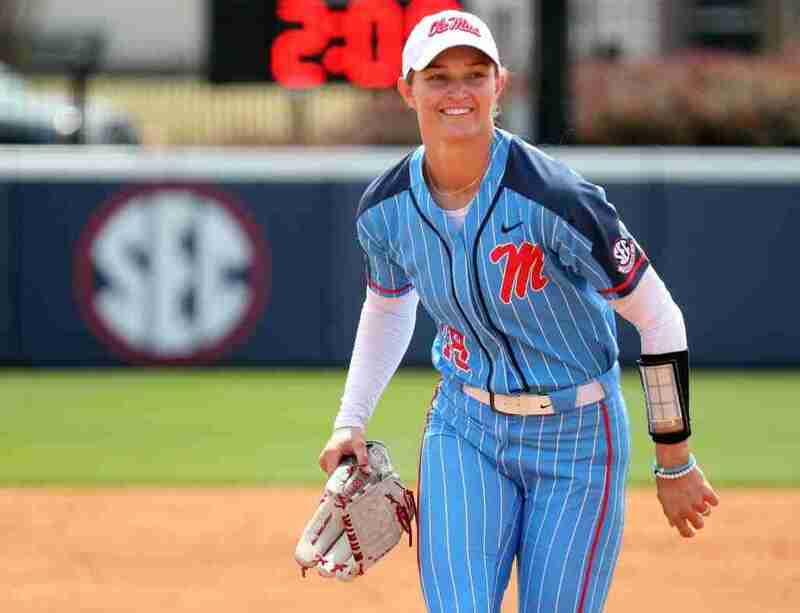 Becker and Kaylee Horton each had a pair of hits for Ole Miss. The Rebels improve to 27-10, 7-4 in the SEC. Ole Miss has won three of its first four SEC series, with the only non-win coming in the 1-1 weather-shortened series tie at South Carolina. The Rebels picked up their ninth and 10th ranked wins of the season. Ole Miss won eight games over ranked teams in 2018. Brittany Finney has now picked up a win in each of her last four appearances, improving to 10-5 overall in 2019. Kylan Becker extended her hitting streak to 15 games, the second longest streak in Ole Miss-history, topping her own 14-game run in 2017. Ole Miss is next in action as it welcomes UAB for a single game Wednesday before Missouri visits Oxford next weekend for a three-game series.